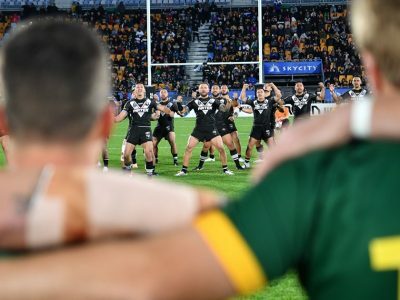 New Zealand captain Dallin Watene-Zelezniak declared that the Kiwis would only continue to improve as they begun a new era for international football by inflicting the first defeat in Mal Meninga’s tenure as Australian coach. It was the first Test for Australia since Cameron Smith and Cooper Cronk stood down from representative football and the retirement of Billy Slater and Johnathan Thurston, with just eight members of the Kangaroos team which won last year’s World Cup playing in Auckland. However the Kiwis also had a new-look team, with Watene-Zelezniak making his debut as captain and Manu and Smith joining the new players blooded in June’s Denver Test against England. “It feels so surreal,” Watene-Zelezniak said. “We are still building, We have only set the foundations now but we have to keep building. “Everyone was just on. We were a bit shaky at times but we this is just the beginning. “That’s what we came here for to give the fans. Holmes’s 12th try in his last four Test appearances struck fear into the hearts of New Zealand fans that the new look Kangaroos would be just as dominant as previous versions, after rookie centre Latrell Mitchell drew Jordan Rapana to create an overlap for the Cronulla star over in the third minute. 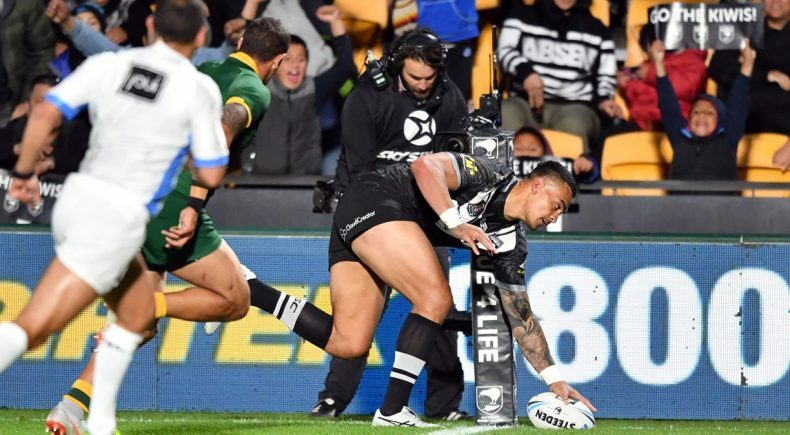 A try to centre Esarn Marsters in the 57th minute extended the Kiwis’ lead to 20-12 after a stepping run by Johnson who linked with Smith and second-rower Isaac Liu. 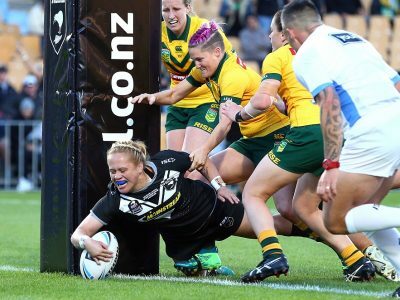 The result capped a triple-header of New Zealand v Australia contests at Mt Smart Stadium, with Australia winning the earlier under 20s and women’s contests.